Menara UOA Bangsar is a leasehold strata office tower in Bangsar. This commercial building is adjacent to Dataran Maybank and Bangsar LRT station. Its immediate neighbours are Gaya Bangsar, Kompleks Niaga Utama, and Etiqa building. 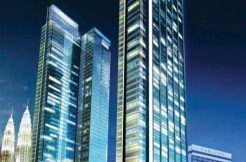 Menara UOA Bangsar comprises of 39-storey (Tower A) and 24-storey (Tower B) office towers with 3 level retails comprising of 426 “Grade A” business suites with built up from 829 to 5,501 sf. Tower A is available for sale, meanwhile Tower B is only for lease. Each unit consists of a dedicated pantry, shower room and private toilet. There are over 1,100 car park bays provided at Menara UOA Bangsar. It features broadband connectivity, fibre-optic cabling, Intelligent Fire Protection System, grand lobby, conference room, gymnasium, chill-out area, and food and beverages outlets. Not only that, there is a bridge built to connect the building to the Bangsar LRT station. In the building of Menara UOA Bangsar itself, there are several retail outlets to be open that include 7-Eleven, Old Town White Coffee, The Cut Studio, Focus World Vision Care, San Francisco Coffee, Cone Pizza, Bread Story, Kok Yuen Pin Dental Surgery and Global Millennium (Money Changer). Besides in the building itself, it is meters away from several prime shopping malls namely Mid Valley Megamall, The Gardens, and Bangsar Village I and II. In addition, it is nearby Telawi street entertainment and leisure hub. Menara UOA Bangsar is strategically located in Bangsar commercial hub. It is easily accessible by public transportations via Putra LRT and buses; and private transportation as it is well connected by major highways, namely Federal highway, Kerinchi Link, Penchala Link and North Pantai Expressway (NPE). It is just 2 minutes drive to Mid Valley City, 5 minutes drive to Petaling Jaya, 10 minutes to Kuala Lumpur, and only 1 station away to KL Sentral. 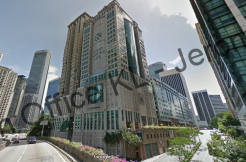 Menara UOA Bangsar offers office space for rent in Bangsar.